My introduction to Captain Marvel, the original, was in the Filmation Shazam! television series, both the live-action and the cartoon teamed with Filmation’s Hero High as the Kids Super Power Hour With Shazam!. Done right, Billy Batson is wish fulfillment for kids, as they get to do all the fun kids stuff and all the fun grown-up stuff while getting to have cool superpowers and still have a normal life from time to time. Also, Billy got to have his own radio show, which was big at the time of his first appearance in Whiz Comics #2. Of course when the New 52 came around (and even before then as the reign of DiDio began) the kind and optimistic Billy was replaced by a smart mouthed punk kid with a heart of gold, and from what I’ve heard Geoff Johns refuses to let anyone fix this mistake. Also, interpretations like Young Justice seems to play up the “kid in a man’s body”, like it was a superhero interpretation of Tom Hanks’ Big. I discussed the problems with that when the upcoming Shazam movie was still in development hell and we thought we’d never get one. The problem isn’t whether or not the story would be good but whether it would be a good adaptation of the source material. Of course if you don’t care about the source material, like the base concept, and don’t have the imagination or guts to create something original you’ll do anything you want and the heck with the fans. We’ve seen it time and again in Hollywood, and Professor Geek goes into why this is not cool in this commentary. Could Shazam! be a good movie? Possibly, but will it be a good adaptation. They appear to be using Geoff Johns’ take, so I guess “good adaptation” of that but it’s inaccurate to Captain Shazam anyway, or at least Billy Batson. Think of something you enjoy. Characters you love, stories you grew up with, and stuff you enjoy now. Now imagine everything you loved about it sucked out of it because someone else thought they could do the base concept “better”. Imagine the Punisher not killing dudes or a version of Game Of Thrones that was more like a sporting event at a medieval fair. Could the story be good? With the right people, possibly. Would it be a good adaptation and would you be upset about it. No to the first part and yes to the last part. That’s how fans of the classic DC characters and ideas see what’s been happening to what they love. As I’ve said from literally day one here at the spotlight quality is not based on whether or not you personally enjoy it. When something group A likes and group B hates is turned into something group B likes and group A hates, it’s not because the story was bad but because something “meant for me” was turned into the exact opposite. Whether you like it or not isn’t what determines a proper adaptation and neither is the quality of the final piece. For more of Professor Geek’s commentaries, check out his YouTube channel. 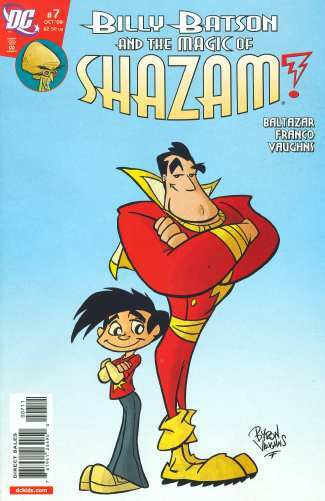 Posted by ShadowWing Tronix on March 27, 2019 in DC Spotlight, Movie Spotlight and tagged Billy Batson, Captain Marvel (DC Comics), commentary, Shazam (character).